These cards came about after discussing with some of my team members, how hard it was to use some of the black vellum sheets out of the Winter Wonderland Designer Vellum Stack. Particularly the one with the antlers! 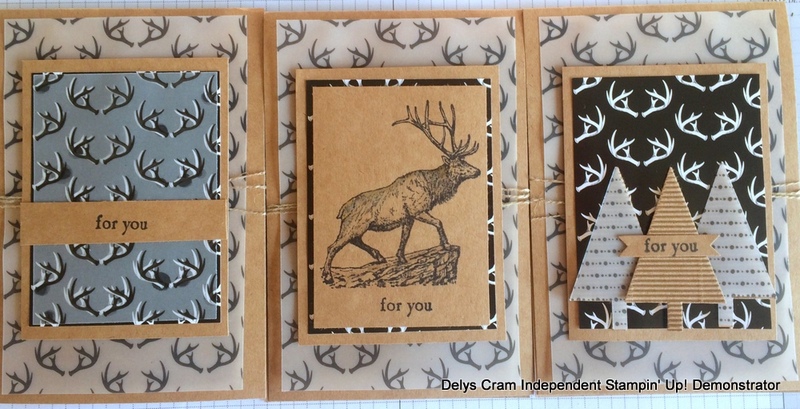 Here’s what I came up with using the vellum, the Winter Wonderland Specialty Designer Series Paper (139588) and The Wilderness Awaits stamp set (138962). A set of three Masculine cards. I kept them pretty simple in keeping with Masculine cards and wanted to have 3 pretty general cards that will go for anything. I was happy how this one turned out by overlaying the vellum over the top of the DSP…just wish Id used less glue. grrr! If I do this card again, I’d just glue under the sentiment or just use a staple. I popped them into a window sheet package I made (a cool tip I got from a team member recently) with some envelopes which I stamped with Wonderland stamp set (140365). This makes it easy to just pull out and have a look. 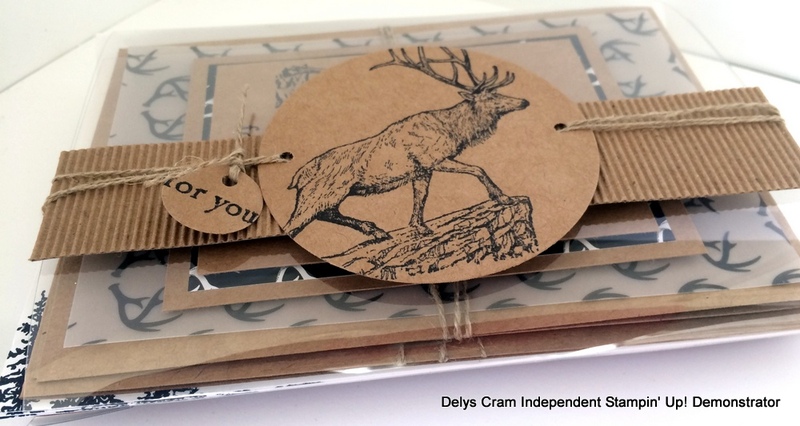 A gift designed for those who have lots of hunters in their family! Check back tomorrow for more Kraft projects! Absolutely gorgeous cards! 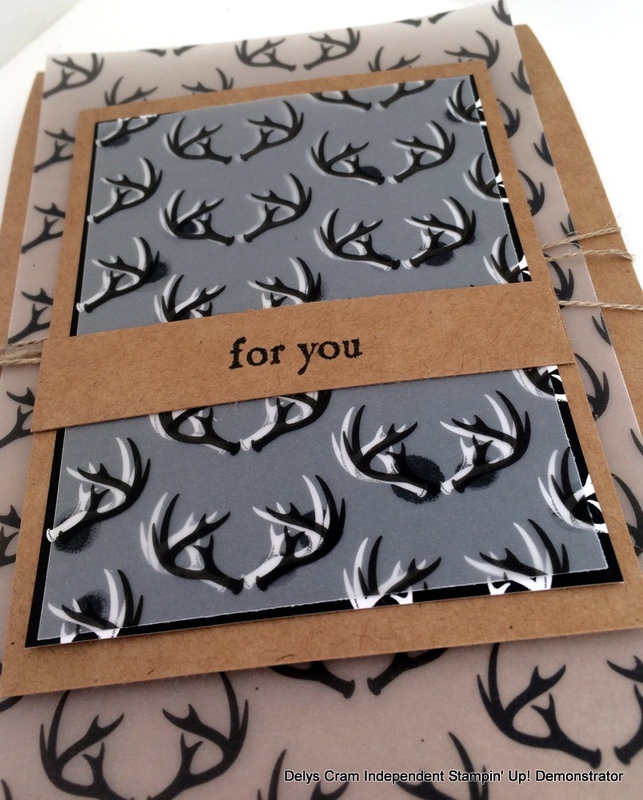 Perfekt masculine and Autumn cards! 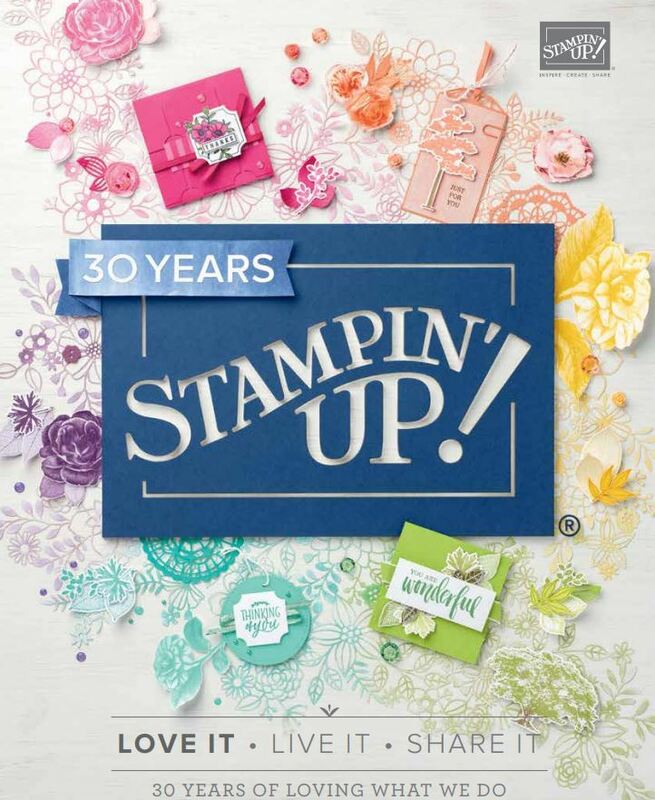 The stamps are not only to Christmas!